Simon is an experienced Supply Chain and Manufacturing executive with extensive experience in large businesses. He started his career managing beer distribution operations for one of the major brewers in the UK before moving to Australia. Subsequent experience has been primarily in the Chemicals businesses of Orica and Ixom. 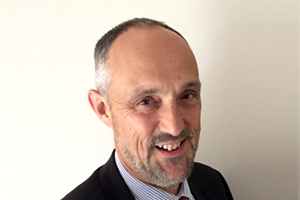 He has had functional responsibility for Safety Health and Environment Management, and Business Improvement teams. He is commercially focused, having experience on senior management teams running business up to 1.5M turnover and control of large operating and capital budgets. He has had a lifelong interest in the welfare of animals, is a self-proclaimed ‘dog’ person and has supported the Home for many years. He has two spoilt dogs, the second of which was adopted from the Home.